The lack of Gravity in Space means that objects have no weight. The traditional and more common use for a load cell is to be used in platform scales to determine the weight of various substances. Although this use is not applicable in aerospace – there are plenty of other applications load cells are used for in this industry. Did you know that products such as load cells, load pins, force sensing bolts and tension links are being used in Aerospace applications and have been for decades now? Load cells in Aerospace are used to support new aircraft and space craft hardware designs, assemblies testing and control. The range of applications for load cells in aerospace is vast. From the more modest applications including simple force measurements to much bigger and grander applications – for example the NASA capsule parachute assembly system and everything in between. With so many applications which use load cells – we thought you’d be interested to hear about a few. You may be surprised at some of the applications that use load cells in aerospace. 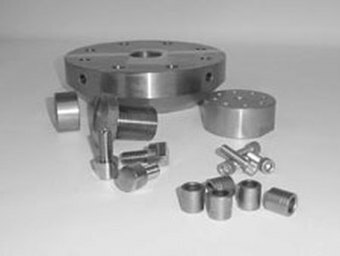 Many of these applications for load cells in aerospace are solved by products from our supplier Strainsert. As an authorised UK distributor for Strainsert, Ixthus Instrumentation are here to help with your Aerospace application. Are you using Load Cells in Aerospace Applications? We’d be interested to hear from you.